Back after a hiatus due to my changing employment status: KDE 5_16.11 is my November release of the combined KDE Frameworks 5.27.0, Plasma 5.8.3 and Applications 16.08.2 for Slackware, built on top of Qt 5.7.0. You can use the latest KDE 5 on Slackware 14.2 and -current. My intention is to keep releasing versions of the stable Plasma 5 software through the “14.2/latest” and “current/latest” URLs. I still carry a “testing” repository but that does not get updated nearly as often and is currently outdated. So please disregard that “testing” area until further notice and be sure to check your automated package management programs for the correct repository URL. What’s new in KDE 5_16.11? Plasma 5.8.3 is an incremental bug fix release for the 5.8 series. Note that this is the first Plasma 5.8 that goes into my ‘ktown’ packages as you will notice straight away when starting a Plasma session. There is a new ‘loading’ animation again. Plasma 5.8 is labeled a Long Term Support (LTS) release. 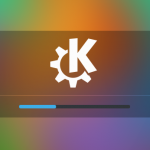 In part this has been done because the developers think that 5.8 marks the point where users who loved KDE 4 and turned away from Plasma 5 should re-evaluate this desktop environment and hopefully want to stay. The 5.8 LTS release should work with Qt 5.6.1 but I think it is better to stick with the Qt 5.7 which I already used for the previous ‘ktown’ iteration. Applications 16.08.2 is a maintenance upgrade. See https://www.kde.org/announcements/announce-applications-16.08.2.php . Upgrades for kdeconnect and sddm can be found in the ‘plasma-extra’ subdirectory, while a newer skanlite can be found in ‘applications-extra’. This upgrade should be straightforward if you already have Plasma 5 installed. See below for install/upgrade instructions. And if you want to check it out before installing, I will be generating a new Live ISO’s soon for the PLASMA5 variant. Look for that ISO on http://bear.alienbase.nl/mirrors/slackware-live/latest/ soon. Check the timestamp of the “slackware64-live-plasma5-current.iso” ISO. Upgrading to this KDE 5 is not difficult, especially if you already are running KDE 5_16.08. You will have to remove old KDE 4 packages manually. If you do not have KDE 4 installed at all, you will have to install some of Slackware’s own KDE 4 packages manually. Posted: 9 November, 2016 in Slackware, Software. Thank you Eric! I just upgraded and it works great so far. Yep, no issue so far, works great…thanks. 1- I thought that on 14.2 you planned to stick with Qt 5.6, as that is also an LTS release but you upgraded to 5.7. Any particular reason for that? 2- I was about to ask about your work situation but went and finished reading your original post. So glad to hear about your job offer from ASML! Am I correct to think you finally got that job? I had 5_16.08 installed and was feeling adventurous enough to update using slackpkg+. Package akonadi-1.13.0-x86_64-3 upgraded with new package ./akonadi-16.08.2-x86_64-1alien.txz. I run slackware in a old machine and i noticed that “fc-cache” took 90% of cpu for about 1 minute everytime i log-in on KDE. Maybe because i have a lot of font files in my home folder, not sure. I found it inside rc.d/rc.M and disabled it. So far stuff still working, if it’s wrong please someone let me know. You did not configure your slackpkgplus.conf file correctly if you did not specify PKGS_PRIORITY. thank you eric, it\’s cool. Hi Guest, if do not want high a resource so put this fc-cache into cron job without disable rc.d/rc.M and fc-cache in rc.M line remove. Work here, Eric, just a comment, baloo (4) and baloo-widgets (4) are obsolet now, just need recompile kde-baseapps and kget, tested here with kde applications 16.08.2 and the new applications 16.08.3. I was going to run `upgradepkg calibre-2.71.0-i486-1alien.txz` on my Slackware64 14.2 + Multilib LapTop. I’ve already got calibre-2.61.0-x86_64-1alien installed. It runs great ! Thanks very much ! Before running upgradepkg, I was looking at dependencies for the calibre update. I’ve got all the dependencies installed, but I do see that qt5 version 5.7.0 is available. My question is: Is the currently available qt5-webkit version 5.6.1 compatible with qt5 version 5.7.0 ? bam – I have not added telepathy-morse to my package set, hence the error when trying to configure a Telegram account. About Google accounts in KDE Telepathy, I have never been able to use one. Always getting an authentication error. No idea if that is (partially) caused by me using two-factor authentication on Google. kjhambrick – I do not understand why you want to upgrade to a 32bit calibre package on a 64bit OS? Bad idea. But your question about qt5-webkit is valid. I will upgrade the qt5-webkit package in my slackbuilds repository to 5.7.0 to match it with the qt5 version. oops. cut-n-paste error … I pasted the i486 entry from FILENAMES.TXT instead of the x86_64 entry ( I am running calibre x86_64 ). Will wait for the qt5-webkit update then. Will install libinput as well. 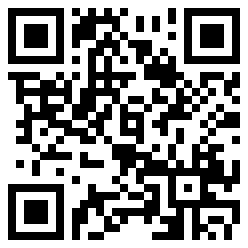 I uploaded a new qt5-webkit 5.7.0. And the full list of dependencies for my qt5 package is: libinput, libxkbcommon. The qt5-webkit in turn depends on qt5 and its dependencies. Upgraded qt5, qt5-webkit and calibre. Calibre 2.7.1 is working very well over Qt5 5.7.0 on Slackware64 14.2 ! p.s. sorry if this is the wrong thread for my Calibre Qs and Cs. It seemed like the closest Blog Post since Calibre rides on qt5. alves – too little information. After instalation plasma 5.8.3 suspend/reboot/shutdown/logout dont work from KDE. Ksmserver crash with something like “Executable: ksmserver-logout-greeter PID: 6135 Signal: Segmentation fault (11)” Do You have any advice? It looks like a bug in nvidia driver 375.10(beta). With previous release 370.28 works fine. ÙÙ Ø¯Ú©ØªØ±Û. Is this a Plasma 5 packages bug (It is not the case when I don’t install your Plasma 5 packages)? The Pasma 5 packages contain “kdeconnect-framework” which is the version built against KDE Frameworks 5. MeH, that is too little information, so I can not give you an answer. Good. The “no change” is the default setting, so what did you have configured previously and why was that necessary? It was set “no change” by default. Trying to solve the problem, I changed it to “United States” which didn’t help. Therefore, I set it again to “no change” and unexpectedly non-Latin characters was shown correctly! It sounds that plasma 5 needed to be noticed to pick up the default value for $LANG when it is not set within plasma 5 itself. MeH, thanks for explaining that. To me it sounds like a bug, though. Now it works! My copy of KDE5 had old files. After adding \”–delete\” option in rsync command, this removed the old files and the Plasma 5 installation worked fine. just resetting plasmashell does nothing and you have to do every time you turn on the pc. after last update from today of Slackware current, I have problem with kwin_x11. Some times stop working and Im unable to switch programs from task bar, need to switch in console (CTRL+F1) then to return back in desktop (CTRL+F7). After updating my current today, I had problems with libXfont in my plasma 5.8.3. It does not work with libXfont 1.5, if it happens with the installpkg libXfont 2.2…..
Hi Eric, from the latest version of Plasma upgraded, from time, the system don’t permit to unlock the session after return from ibernation, for example. Give me this advice “open a terminal and give the command – loginctl unlock-sessions – to unlock the sessions”. But even with this procedure, often I need to reset server X. I think because there isn’t systemd 😛 There was a report about this bug, that seems to involve kscreenlocker : http://osdir.com/ml/plasma-bugs/2016-03/msg00268.html . What you think about? Works and looks very enjoyable. Francesco, if you get that error you still have the KDE4 based kdeconnect package from Slackware installed. Remove that, and install kdeconnect-framework instead. The README instructs you to “removepkg kdeconnect”, apparently you overlooked that. zappalaus, there’s a new package in Slackware-current that apparently you overlooked. It is called “libXfont2”. Install it and your issues will disappear. Fabick no idea. If you think it is a bug, create a KDE bug report about it. Hristo, first check that you updated your Slackware correctly. If you use rsync on my repository, you need to rsync the full repository. The ./current/5 repository and the ./14.2/5 repository are the same, and in order to avoid double storage needs, I just use a symbolic link. If you still want to rsync only the ./current/5 repository then you can let rsync follow the symlink and download the actual files. For that to happen, you need to change the “rsync -a” command into “rsync -rlpLgoD”. The “-a” switch is shorthand for “-rlptgoD” and the only difference is that “-l” gets changed into “-L”. Sorry Eric, probably I haven’t explained very well. I don’t know if this is a bug or not. Would only know if, with the latest release of your Plasma package and Xorg v1.19.0 plus kernel 4.4.32 in current64, any other user have the same behavior with kscreenlocker, just to understand if this depends on the combination of the three, or is a particular problem given from my hardware configuration and the latest release. Thanks for all your work, as usual! If that is the bug, then upgrading to Qt 5.7.1 should fix it. Unfortunately I am currently travelling and unable to compile packages for my repository. Anyone affected by the bug can download the qt 5.7.1 sources and compile a package themselves of course. I’m having problems with SDDM crashing. I can startx and plasma loads and works fine. When I set SDDM to auto login I do get to the desktop with init 4. But when I log off SDDM crashes again? Hi Eric, I’m experiencing a bug which might be related to the Qt bug you mention. After logging in, the startup screen activates but at the end of the start screen the screen does not update; it still is a black “K” logo. I have to switch to a virtual terminal such as tty1 and back to see my screen. When using dual screens, the secondary screen shows up on time but the main screen keeps being blackened until I perform that virtual terminal switching. Eduardo, I have had that issue for many releases (almost a year) and could not decide what piece of software was causing it. But since I left IBM and had to hand in my thinkpad I have not had this issue anymore (seems to be related to Intel graphics because I do not see this on Nvidia GPUs). However I have a new T460 thinkpad now (also Intel graphics, but Skylake architecture) which I bought myself, and that one does NOT have the bug. I found out SDDM crashes because I’ve upgraded xorg. And then it tries again. I assume I need to recompile SDDM because I’ve upgraded xorg. A recompile didn’t help either. I burned the live iso with Plasma5 and I get the same black screen. So it has to be something else. Thank you Eric. Will report the issue upstream and see what they can do about it. I’ve also solved my problem with SDDM. It turns out SDDM works after I disabled HiDPI to false in /etc/sddm.conf. rsync -av –exclude=x86 rsync://alien.slackbook.org/alien/ktown/current/5 . but end up with dead link to 14.2. Is there any particular place where rsync command should be run? The “current/5” directory is actually a symbolic link to “../14.2/5” because the package sets for both Slackware 14.2 and -current are identical. Therefore, the rsync command in the README (which you used) will only download a dangling symlink, whereas adding a slash after the “5” will actually download all the requested content. Do I have it installed by default or not? I’ve just installed new KDE as mentioned in README, but unfortunately after that have only white rectangle in the left upper corner with Bash prompt. What went wrong? Probably you need a reboot first. The qt5 package which is part of the “deps” installs a profile script, and DBus needs to be restarted to pick up several new configuration files. A reboot is the easiest way. About your question “If you have my ‘ktown’ set of KDE 5_16.08 installed: No further actions are needed.” – you need to read all the way down. Those instructions are for the case where you have an older version of my ktown packages installed. If you just have Slackware 14.2 then you will not have any of my custom ktown packages and all those instructions about older ktown versions are irrelevant to you. Well first, do not try to start an X session as root. Create and use a regular (non-root) account. Second, do you still have the error “qtpaths: command not found” even after reboot? In that case you did not install the qt5 package from the “deps” subdirectory. You seem to have installed packages as intended. And yet the command “qtpaths” is not working as shown in your feedback “/usr/bin/startkde: line 156: qtpaths: command not found”? Or has that error gone now? Are you starting X in runlevel 3 (console) or 4 (graphical login)? In runlevel 3, use the “xwmconfig” program to select xinitrc.plasma as your default desktop (run the command as the user who will run “startx” next). And search for clues in your system logs. There is nothing else I can contribute from here because I can not see inside your computer. xwmconfig – did the trick 😀 Thank you. Hi Eric, I’ve upgrade from kde5_16.08 installed from the LIVESLAK 1.3 and after upgrading to KDE5_16.11 I’m getting a blank screen with Kwin_X11 -session 10addcd7a30001…. using 100% CPU. The odd thing is that KeePassX and ESET NOD32 which are in the autostart folder, both start windows and KeePassX allows me to use the keyboard to open my database, ESET shows the GUI startup screen then minimizes as normal. HP-Systray even pops up a small window indicating no system tray is available on the system. If I use ALT+TAB I see KeePassX. CTRL+ALT+F1 or F2 gets me a CLI login, and CTL+ALT+F7 takes me back to the blank screen. No other combination of mouse buttons or keys gets me a menu to work from. Eric I should have been clear that the other DE/WM’s including LXQT and Lumina startx without trouble. It is only KDE that won’t start a menu. SDDM/Plasma (Failsafe) was tried and it also produced blank screen. Brian, you do not state it explicitly but I guess you are running this still on a Slackware Live USB key with persistence, and you upgraded the Plasma 5 packages on that USB key to the ones I currently offer in my repository? You could perhaps look inside /var/log/Xorg.0.log for clues. Also you should be aware that the iso2usb.sh script has a “refresh” parameter. With that “-r” and pointing it to the latest Plasma5 Live ISO, the iso2usb.sh script will refresh the content of the liveslak installation with the modules taken from the ISO file, while otherwise leaving your modifications untouched (persistent data, your homedirectory). Hi Eric, Actually this is a HD installation. /var/log/Xorg.0.log of course has my newest Xorg WM/DE statements and nothing for the Plasma attempt which I tried to redirect with startx 2>1 | tee ~/startx.log but today I found the log in a ~/1 file (typo in command error). That file is large and I won’t flood this blog. I’ll study the file before posting again. Right off the bat I see a (EE) nv: module ABI version (20) doesn’t match server version (23) . Which I believe is because I’m using NVIDIA’s firmware but not their driver. I’ll work through the file, I also see a xset font path bad, and something about a serverauth missing. I’m surprised this doesn’t affect my other WM/DE’s but I’ll be back to you after clearing these simpler X.org issues. I have had the same issue with VLC, but finally I’ve installed it from your repo. The error is caused by Qt 5.7, which requires C++11. You need to tell the compiler to use C++11. Add “-std=c++11” to the CFLAGS variable in the SlackBuild script and the compilation should succeed. So the default xorg will try to start various drivers, including nv and fbdev, but this is not a problem. My solution was to follow my own advice and move aside (read rename) the ~/.config/autostart folder. There was some widget or shared autostart item from XFCE which was causing the plasma session to either halt or hang. I’ll try testing each of the old autostart items to find which one. It was not HP-systray because it is now showing in the task bar without issue. Hope this helps others. Looks great now. However, some packages are now complaining that some libraries are missing such as libkactivites and libbaloofiles. Konqueror (file-browser) is missing the libbaloo for exampe. So I reinstalled all removed packages except kde-kdeconnect. Did I miss something? Am I using the correct mirror? Hi Gérard – I will use that straight away on my next batch of packages, thanks. Would be sad if you drop Slackware 14.2 though..
bam, I think I may have to update my gen_repos_files.sh script for the first time in two and a half years. I am now using hardlinks in the repositories and the script does not handle those correctly. Eric, for Slackware 14.2 x64, what are the dependencies for SDDM-qt under KDE 14.3? I’ve loaded libinput-1.6.3, libwacom-0.24, and libxkbcommon-0.6.1, along with qt5-5.7.1, but it still is giving me a blank screen on start with no keyboard or mouse input. Since I don’t have plasma loaded I selelct xfce in wmconfig before restarting in init4. I’m getting the same blank screen if I try the older SDDM (2014) from your respository. Don’t see any error in the X.org or SDDM logs other than normal outputs. But I also don’t see a connect for SDDM to a screen. Hints or suggestions would be appreciated. I can get SLiM to work but with two screens it’s centered and doesn’t recognize there are two monitors. Can work with it, but really like the newer SDDM, which I hope Pat will add to next release of Slackware. Hm yes I’ve gone back to 14.2 base to ease my updating. Like the liveslak but wanted to avoid the “mess” you advised I get if I don’t upgrade KTOWN regularly with the -current base app updates. So decided to go back to 14.2 and keep it simple. Just miss the SDDM. Eric, I found that if I downloaded your older SDDM-201140508git source and built local that it then worked. I picked this clue up from an older LQ comment on SDDM where they had to do the same, there is something about your 20140508git-x86_64 package that doesn’t work on my configuration. But I’ve built from source and everything appears to be working great, including showing me all three users. Of course it also showed plasma.kde for some odd reason? But I’ll find out where it is getting the session options from, too bad it isn’t from the same location as xwmconfig. BrianA_MN, X sessions are loaded from /usr/share/xsessions/ directory. On my Slackware64 14.2 installation, the latest SDDM package works as expected, if your installation gets stuck in a black screen, I wonder if you have all my packages installed or that there’s been some kind of mix-up with Slackware-current packages? Did you try recompiling sddm-qt5 package using my latest sources instead of going back to a prehistoric version? BrianA_MN – I can not help you with your confusion without more background. What version of Slackware are you running exactly? I.e. what is the URL of the repository you are using to keep your Slackware uptodate? And what is the URL of the ktown repository you are using for the Plasma5 packages? I did think to try another way and downloaded sddm-0.14.tar.xz from github and then modify the build script, but I received a error output of could not find package configuration provided by “ECM” (requested version 1.4.0) with the following names ECMConfig.cmake, ecm-config.cmake. I realize this is not a support forum. I have the older SDDM working for logins but not power. I do not support partial installations of my Plasma 5 ‘ktown’ set, sorry. A *lot* of my time is spent on finding the correct and minimal set of dependencies that are required to make this complex software work. Many of the issues you (and others) have reported here are due to incomplete installations causing missing dependencies. Thanks for responding. I’ll seek help from the sddm folks and LQ. For anyone else reading this blog, the sddm page indicates some dependencies, but also says that PAM and Systemd are recommended but their build script is suppose to accept PAM not present and will look to upower. Cheers. Please do not take the SDDM pages as your guidelines, they do not run Slackware. And LQ people generally do not run my Plasma 5. Use my Slackware build instructions, and patches, instead. I showed you how to build a sddm-qt5 package. Why is that so difficult? PAM is not required, systemd is not required. That should give you the required pointers. Again, why the partial installation if you do not know what dependencies are needed? Eric, Thank you for answering, when I wasn’t expecting anything further. I’m sorry if you were confused or frustrated with my questions. I am impressed with your persistent follow-up to help another Slackware user because I didn’t expect any further communication on this issue. I think we’ve been talking past each other on what dependencies and source to use. I know you are going way beyond the necessary support to most inquiries. I hope the following recap will give you a clearer idea of how I was reading your responses and doing my own research to resolve the issues I was having with SDDM, not expecting you to support an older stable installation. I realize your time and efforts are correctly focused on the next release of Slackware. To recap, my first question to you was “what are the dependencies for Slackware 14.2- 64 with KDE 4.13?” Your response was to use the source and rebuild. When I asked where the source was located you responded with a link that has a hierarchy that appears to be for latest KDE 5, which I’m not running so I search up the parent heirarchy for 4.13. I found that the “parent” hierarchy path had a 14.2 directory which had NO build or source or pkgs for sddm. The link provided had a /deps directory that appears to be the focus of Plasma5 builds. I thought your heirarchy was logically showing dependencies for a KDE version that I’m not interested in at this time. And to test that I looked at the http://bear.alienbase.nl/mirrors/alien-kde/14.2/5/x86_64/kde/plasma-extra/ and found sddm-qt only for /5/ and not for /4.13.2/. Not finding what I was expecting in the parent’s link and when searching your bear repositories I found available in http://bear.alienbase.nl/mirrors/people/alien/slackbuilds/sddm/ the sddm build source I thought you were suggesting. I used the original build from the older git and successfully built the 20140508git package! YEA! That same slackbuild then successfully built 0.9 and 0.10 and 0.12 releases, although I had to install extra-cmake-modules at one point. When the slackbuild failed for 0.13 and 0.14 asking for PAM I determined there were more changes required to the slackbuild and sent my March 25 6:31 message. Knowing I have no reason to expect you to support your slackbuild or an SDDM for KDE 14.3 I was ready to move to the original programmers and other who might have ideas or suggestions. Again, thank you for your continued help. You have gone above and beyond my expectations for supporting my desire to install SDDM. I’m not a programmer and while I can locally build with .config, make &&make install or execute a slackbuild, I have to learn how to use patches on source to use what you’ve provided. Please don’t spend any additional time on this issue. I’m much more interested in your time on the next version of Slackware! Even if I continue to use the 0.12.0 version I’m getting the experience of SDDM for the next Slackware release. Eric, Thank you again for all the support. I successfully have now built sddm-0.14.0! YEA! I thought I’d just leave this update for you to enjoy and smile, another non-programmer making slackbuilds with great assistance from the one and only AlienBob! I’ve modified the original slackbuild to include the pertinent parts (sorry I don’t need Dutch at this time 🙂 ) The patch has auth.diff commented out. If it is to be applied, it fails to apply the Passwdbackend.cpp change. I’ll simply try it with and without being applied and see what happens. Also, I notice that although I modified the slackbuild with the all the cmake modes you listed, including -DENABLE_QT4:BOOL=FALSE and -DENABLE_QT5:BOOL=TRUE, the build still used qt5 since it found it. I assume it is because it finds the QT5Test file and uses QT5. No matter I have qt5 installed so all should still work. That is why I suggested to use the KDE.SlackBuild script framework and just run “./KDE.SlackBuild plasma-extra:sddm-qt5” to generate the sddm-qt5 package. The cmake parameters ” -DUSE_QT4:BOOL=FALSE -DUSE_QT5:BOOL=TRUE” force the use of Qt5 over Qt4. But the issue is moot, since SDDM will no longer compile against Qt4 as far as I know. Thanks again for the clarifications. I’m beginning to understand and have now found under cmake –help the proper way to use –D [:]=. I was thinking it was “denable” like do not enable instead of -D cache Enable. 😉 my bad. The reason I didn’t use your first method was because I didn’t know how to easily replicate a whole repository locally? I today learned more about rsync and replicated your first reference. This of course provided the entire directory and I needed only small parts of it. Thank you again for your help! It is always a learning experience, literally. For example I’ve had this open for 4 hours, because each time I got ready to respond I thought, wait I can look that up or learn how to do that, ex cmake commands and rsync. Truly a learning experience with a little guidance from you and I’ve made huge strides in programming slackbuilds, how to use cmake, how to use rsync, how to use git, how to search the HOWTO’s and howto properly use man. That’s a lot of learning from a simple desire to use SDDM. THANK YOU! Brian, for your reference: I have example rsync commands in the README of every Plasma 5 release that show you how to download the sources/scripts, or how to download packages.